Fingerprint drug tests: re-inventing prison drug screening? There’s a clear emphasis on supporting Prison Governors in strengthening existing prison drug screening measures, such as enabling drug testing on entry to and exit from prison as part of a more extensive screening programme. However, the Prison Safety and Reform report is also focused on increasing the frequency and range of drugs that are tested for in prisons. To achieve this we believe that more advanced technology is needed to help deliver on the proposed reforms, especially given the limited prison resources currently available. Whether it’s the assessment of prisoners on arrival or voluntary testing that underpins schemes for drug-free wings, prison staff would clearly benefit from any approach that would support them in making the drug testing process more effective. Prison services also require access to rapid point-of-care drug screening tests that can be deployed at short notice to provide drug use intelligence. However, traditional urine and oral-fluid based screening methods can be inconvenient and time-consuming when it comes to collecting samples, and the process depends on prisoner co-operation. Staff also need to be trained in collecting biohazardous bodily fluids, and clinical waste disposal facilities are required. Because of these issues, there’s a real opportunity for a more portable and non-invasive approach to drug testing in prisons. That’s why more advanced technology solutions – such as Intelligent Fingerprinting’s revolutionary fingerprint drug test– could prove beneficial in supporting the Government’s proposed reforms. 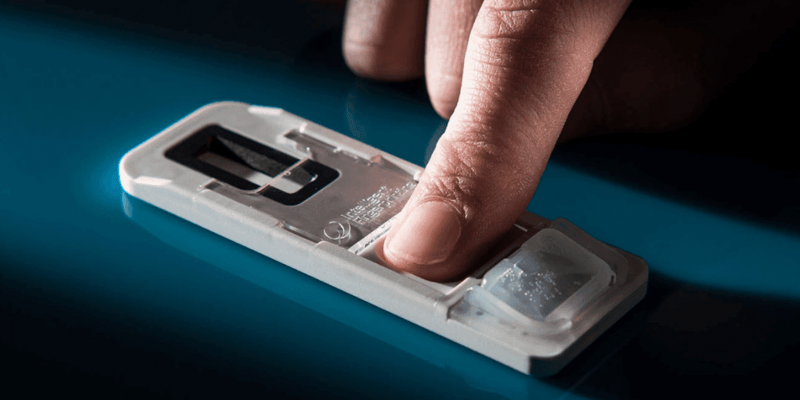 The portable Intelligent Fingerprinting Drug Screening System– the first product of its kind in the world – requires only a single fingerprint to screen for multiple drugs. Sample collection takes just five seconds with results available in under 10 minutes. The system works by analysing the tiny traces of sweat contained in a fingerprint to screen for four drug groups simultaneously: amphetamines, cannabis, cocaine and opiates. It’s particularly easy to use, and sample collection is hygienic and non-invasive – with none of the biohazards associated with handling urine or oral fluid samples. Testing can take place anytime, in almost any location, with no need for specially prepared sample collection areas or clinical waste disposal. 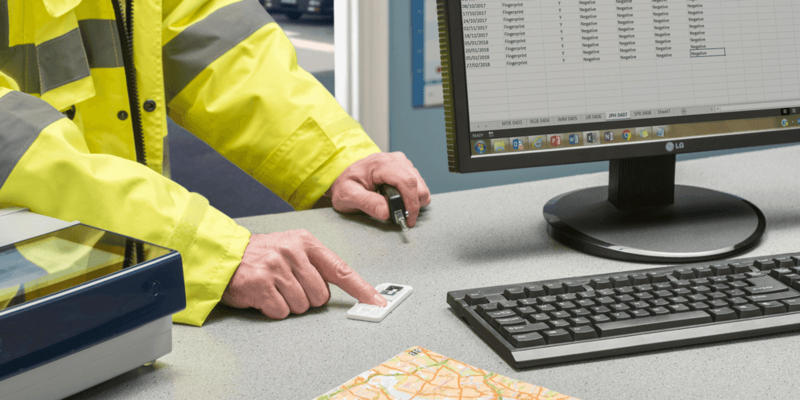 Fingerprint drug tests are easy to administer, non-invasive and dignified, offering prisons a convenient point of care screening solution which can be easily implemented to support random or unannounced testing. The technology is also ideal to facilitate rapid screening upon entering or leaving prison. This helps to ensure that a prisoner’s drug use status is quickly and accurately assessed, so that any necessary treatment or prescriptions can be provided in a timely manner. Given the continued pressure on prison resources, fingerprint-based drug screening provides prison governors with a powerful new way of broadening the testing regimes needed to help track drug use in their prisons.